The TVS Apache RR310 is easily the most performance-oriented product from the Hosur-based two-wheeler manufacturer. The RR310 is based on the BMW G310R, which is the first-ever motorcycle form the TVS-BMW Motorrad collaboration. Today, we have a modified TVS Apache RR310 whose owner has clearly taken his motorcycle’s BMW Motorrad roots a bit too seriously. 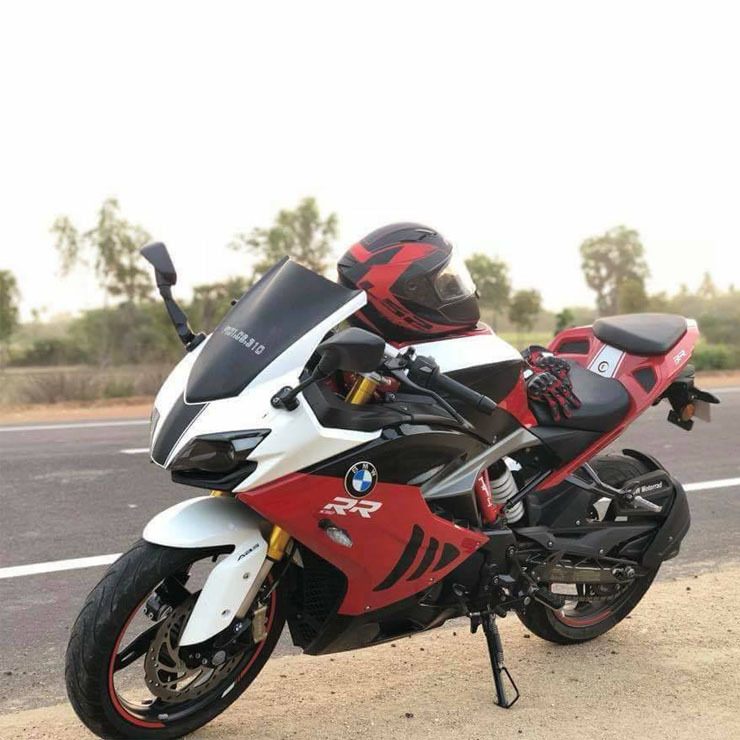 As you can see in the above image, the modified Apache RR310 gets a paint scheme that is very similar to the one you find on the very tasty BMW S1000 RR. It gets a similar black-red-white paint theme and the quintessential ‘RR’ badging. While the S1000 RR gets some air vents on its side fairing, this 310RR gets some graphics to mimic the air scoops. 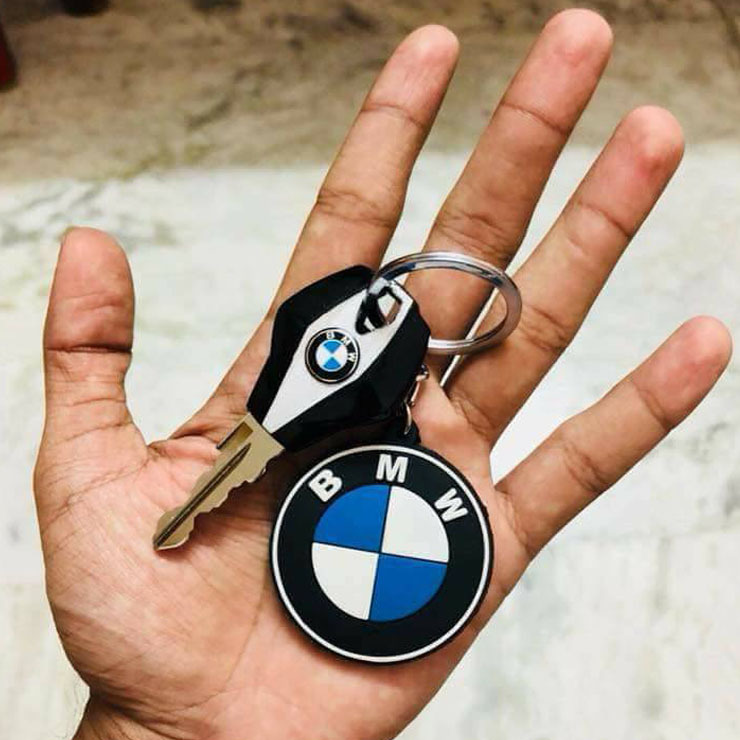 The customizer has taken the whole BMW Motorrad theme so seriously that even this motorcycle’s key gets BMW branding. Details on the performance upgrades aren’t available at the moment. However, from the looks of it, this motorcycle doesn’t carry any radical performance modification to speak of. Like we said, the TVS Apache RR310 is easily the most performance-focused motorcycle from TVS ever. It is powered by a 312.2cc motor that comes from the yet-to-be-launched BMW G310R. With a maximum power of 34 PS at 9,700 rpm and a peak torque of 27.3 Nm @ 7700 rpm. The stock TVS Apache RR310 offers a good mix of performance and fuel efficiency. Moreover, it comes with a mini-me superbike design, which gives the flagship TVS the proverbial ‘big bike’ looks. Furthermore, this paint scheme on the motorcycle you in the pictures here further makes this motorcycle look like a world-class fully-faired sportsbike. 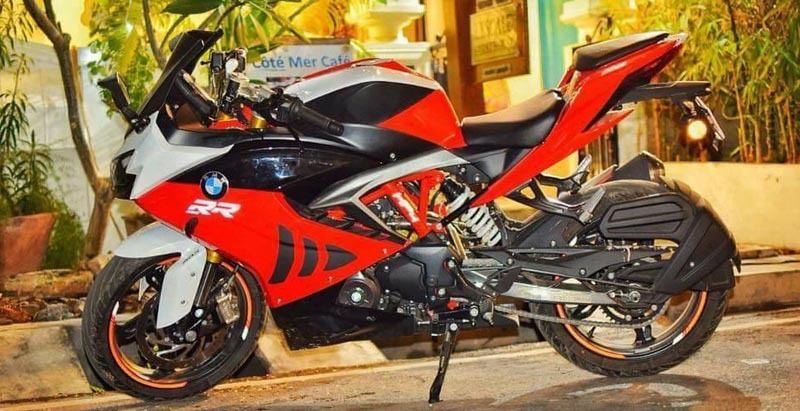 Of course, it’s no match for the very handsome BMW S1000 RR, but to an untrained eye, this modified TVS Apache RR310 can easily pass off as a much expensive motorcycle.